Permanent stain and soil protection is built directly into the fiber during manufacturing. It isn't put on afterward with chemicals. It's there for LIFE, it will NEVER wash off, walk off or wear off. Need Proof? Mustard? Maybe soy sauce, or hot coffee? These and other extra-stubborn stains - including Clearasil, tea and red food coloring, come out easily with water and a mild detergent or Mohawk FloorCare Essentials. Guaranteed. SmartStrand actually resists hot coffee and red wine stains! 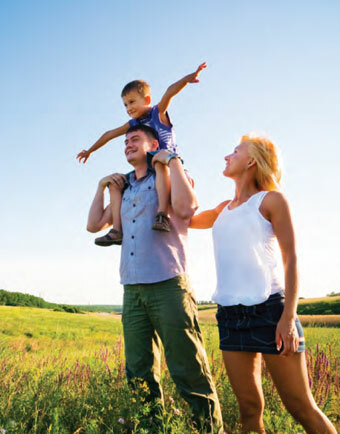 In recent third-party testing, SmartStrand resisted up to 50% more regular household soil than leading nylon carpets. Testers using identical methods to clean all carpets found SmartStrand carpets got up to 42% cleaner, leaving virtually no dirt and clearly reducing maintenance time. Homeowners agree with testers: more SmartStrand owners rated their carpets as dirt-resistant and easy to clean than buyers of other carpets. SmartStrand carpet has excellent colorfast properties that resist fading from sunlight exposure, UV light and ozone. You WANT the color, you BUY the color, you KEEP the color. Even pet* urine wont stain SmartStrand carpet. 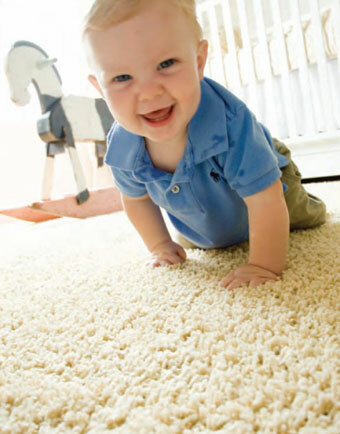 Every new SmartStrand carpet comes with a lifetime pet urine warranty as well as lifetime stain and soil warranties. If you simply selected your carpet based on looks alone, SmartStrand would be an obvious choice. But your home demands a carpet that is tough, resilient, and able to withstand the rigors of household action. Mohawk put SmartStrand through all kinds of foot traffic and durability tests. SmartStrand passed them all with no problem. Then we installed it in a rhino enclosure at the Birmingham Zoo for two straight weeks. After being cleaned, it looked good as new. So Mohawk went several steps further and carpeted the rhino, elephant and camel enclosures at the Dallas Zoo in SmartStrand. But again SmartStrand passed the test with flying colors. SmartStrand fiber is tough enough even for 50,000 POUNDS of constant animal pressure. SmartStrand carpet is made with DuPont Sorona renewably sourced polymer, which is made in part from actual corn, the same kind you grow in your garden. It also uses less energy to produce. It marks the first time that a luxuriously soft carpet offers durability and stain protection, while also making less of an environmental impact. From field to floor, SmartStrand carpet is the perfect solution to life's unpredictable moments and environmental concerns. HGTV craftsman extraordinaire Chip Wade designed a special rhino-inspired bachelor pad for Ricko complete with 1,040 square feet of beige SmartStrand with DuPont Sorona renewably sourced polymer carpet. Additionally, four web cams equipped with night-vision capabilities were installed to allow visitors to see Ricko romp around at any time of the day or night during a two-week period. The entire online world and Birmingham Zoo visitors were able to watch the action unfold as Ricko quickly became enamored with the luxurious softness of his SmartStrand. Would a mess-maker of this magnitude provide more rough and tumble antics than SmartStrand carpet's built-in stain resistance could handle? In the end, not even the rambunctious Ricko and his daily mudbaths could challenge the durability and resiliency of the Triexta carpet fiber. Simple hot water extraction and regular maintenance removed Ricko's mud-caked tracks and bodily waste to reveal a carpet as sparkling as the day it was installed. The flooring industry may never be the same as Mohawk & DuPont truly created a unique experience, The SmartStrand Challenge. 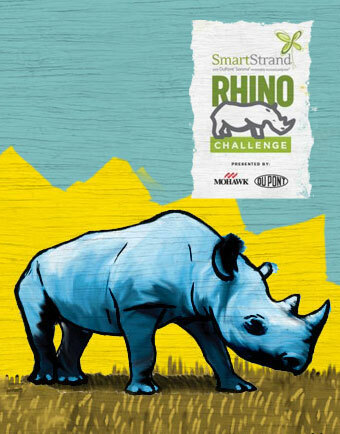 Whether you are seeking exceptional durability, easy cleanability, or incredible softness, rhinos everywhere will attest that SmartStrand is a cut above any other carpet! Don't Take Our Word on How Great SmartStrand is. Ask The Experts: People Just Like YOU. SmartStrand carpet with DuPont Sorona renewably sourced polymer features everything customers want. But don't take our word for it. Research from customers just like you indicates SmartStrand is Rated #1 in customer satisfaction. 98% of SmartStrand buyers would geti it again! * THAT'S ALMOST A PERFECT 100% of ALL customers surveyed! THAT'S AN INDUSTRY RECORD! 97% of SmartStrand buyers say "My carpet meets my needs"
96% of SmartStrand buyers are SATISFIED with their carpet SmartStrand buyers were also more likely to rate their carpet positively for quality, warranty and durability. When asked what they liked MOST about SmartStrand that they LEAST expected, SmartStrand buyers overwhelmingly chose its thick, luxurious, toe-wiggling softness. * Brandware Research study, November 8, 2010.